If dance events were cars, reports would be their dashboard. They aren’t as exciting as engines, but they provide the necessary info to help you run your event effectively. World Dance Registry leverages an enterprise reporting system to list: sales figures, attendees, items sold, competition data, financial standing, and much more. Our reports render data in real-time with a simple mouse-click. Plus, you receive a Statement of Account each month (or at pre-defined interval that meets your needs). 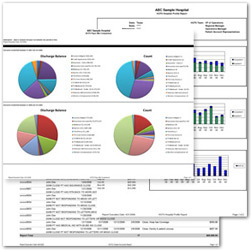 View reports on your computer, print them out, or view them on your mobile device.